It seems as though you spend your entire young life waiting to 'grow up' and "be grown". But no one tells you what adulthood actually looks like. When you're young and not indoctrinated to the ways of the grown folks, it all seems like it's super easy. You go to work, come home, eat some dinner, go to bed and do it all over again, occasionally you get together with friends and perhaps add in a spouse and throw some kids into the mix for good measure. That's where life starts to get a little more complicated. But no worries because you've sort of got this adult thing down. Right? What else is there left to tackle? Then you get a phone call that stops you dead in your tracks and causes your heart and mind to leave your body and brain explode all at once. Except you're still holding the phone hearing that something has happened to a loved one. More often than not it's a parent or older sibling and when that happens it can turn your whole world upside down. I know because it's happened to me. It's still happening to me. And it doesn't get any easier. They never tell you that part of becoming an adult means at some point you will have to care for one of your parents in some way. Or at least I never really thought of it like that. 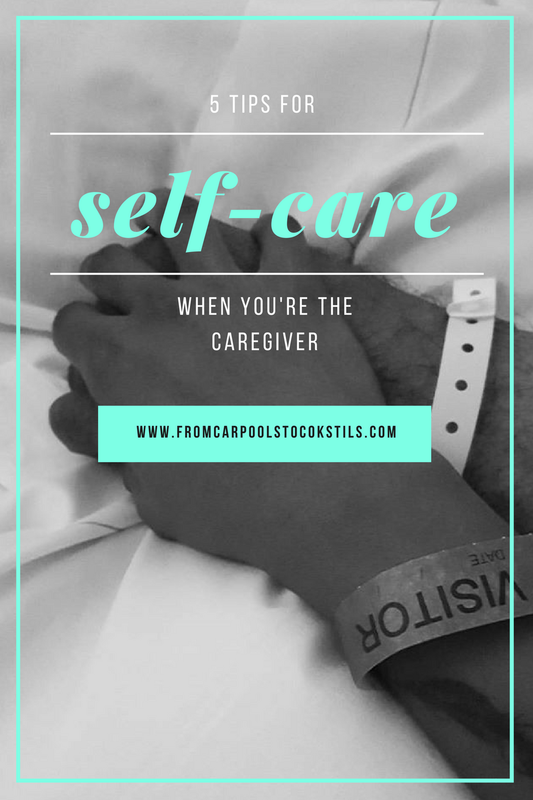 I remember when my grandmother was dying of cancer and how my mother and aunts rallied around her for the last few months taking turns shouldering the burden/ blessing of being her caregivers when they could. For as long as they could. Funny how I never saw that for myself. I've known my dad was diabetic for over 20 years and yet it never really hit home that my brother and I would one day be in charge. Or rather be the ones making the "important" decisions when the time came. And then it happened. In 2014 I got the phone call I'd been anticipating but also dreading. My father was in the hospital with congestive heart failure. He'd barely made it in time. I could barely keep it together. Luckily my brother got on the next thing smoking and swooped in to save me from my over active worst case scenario imagination and handle things. This last time, it's been all me. And I'm handling it the best I know how being that we are being hit from ALL sides right about now. One of my sister-in-loves is also battling two forms of cancer and the whole family is shuttling around right now taking shifts with her and checking in with her son as well. It has felt like a LOT for a long while now. The odd thing is, when people ask me about my father I have no problem telling them how he’s doing and some of the progress he’s making but then a lot of folks are also asking how I’m doing. And the answer is I don’t know. Okay I guess. I’m doing the most with what I can and running back and forth has been taking a toll on me as well as my household. But I’m managing. So, that’s good enough right? Thankfully my squad has been faithful in reaching out and reminding me to take time for me and do the things that need to be done, in time. Basically, reminding me to breathe each day. 1) Stay hydrated. With water, not just coffee or sodas/juices. I often have to remind myself of this in times of stress and I have one homegirl who checks in daily to make sure I’m drinking enough water and not trying to subsist on caffeine alone. Remembering to feed yourself is also key. You’d be surprised how quickly the day can go by and you’ll find you haven’t eaten anything beyond a slice of bacon and a handful of crackers. 2) Talk with other people who have gone through it. Having an aging parent or family member for whom you are now their caregiver is like some secret club that no one wants to be a part of so no one is out there expressing they’re members. But AARP has a Caregiving Community that is full of resources and information for those in search of answers and insight. 3) Get out and touch somebody. That came out creepier than was intended. In this digital age, we connect in various ways through technology but there is nothing like face to face contact with a girlfriend or family member to help clear your mind and get you feeling back to “normal”. Go workout, grab a coffee or talk a long quiet walk through Target. Treat yourself and get a mani/pedi. Whatever you need to do to get back to center. Do it. 4) Laugh until you cry. Not only will the release be great for your body but the need for levity in times of uncertainty are infinite. Often times the internet and social media can be a great brief distraction for an entertaining clip or story. Check in with your funny friends too and let them regale you with stories about their daily life as well as try to find the humor in everything. Trust me it’s there. I have laughed more while in the hospital corridor than I care to admit. 5) Make sure to sleep. Listen- the urge to stay up late to fit in all the things you missed while you were going to appointments and talking to doctors is strong, I get it. However, you’ll be no good to anyone if you don’t get some rest and try to maintain some semblance of a “normal” sleep schedule. I am sort of weird in a crisis. I don’t really panic; I sort of slow down and shut down while I process, so it’s been helpful to find out there are places I can go for support. Actually, there are quite a few resources through AARP as they also have care guides that focus on specific struggles like caring for a family member with cancer and caring for a loved one at home, which is basically like: HOW DO YOU KNOW MY LIFE? What the what? Thanks for that though! Having resources available has been invaluable to my brother and I as we navigate this new territory. The important thing is that we should know that we’re not alone. I’ve had so many people in my immediate circle and my online community reach out to check on me and see if I need anything or if they can help in some way. And because one of my love languages is Acts of Service, my cup runneth over by their offers of dinner, cases of wine and late night chats as needed. It’s amazing to realize that as hard as you’ve been pulling for your community that they’re also willing to rock with you in the same manner. That’s a gift I don’t take lightly. I’ve also realized that this time with my dad is also a gift. Our time together is more concentrated and focused as he’s rehabbing and I am conscious of being on my phone or otherwise “distracted” when spending time with him. Going to his therapy sessions have helped me have a better appreciation for my own body as well as what my mother and her siblings dealt with. The circle of life is real y’all. We all end up caring for one another at some point but we have to remember that while doing so WE also have to take care. Do you have any family members that you’re currently caring for? How do you self -care when times are tough?